I found this at our local garden centre today. 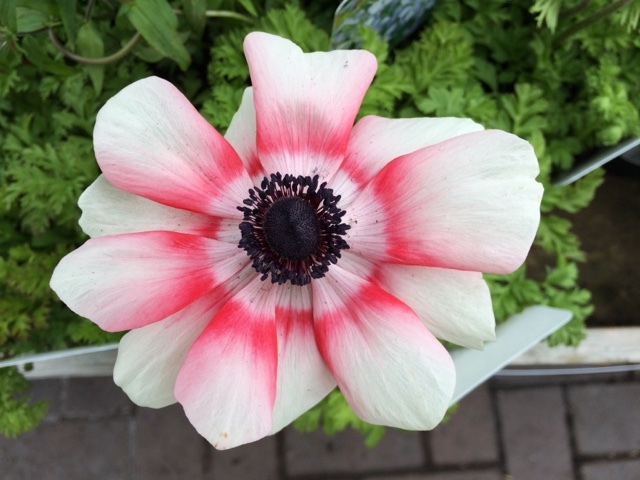 It's an anemone, and they remind me of my grandma. She always had a set of plastic ones. Anemones of this kind do look rather plastic to me, and I'm not sure whether it's the memory of Big Grandma's plastic flowers, or whether they just look kind of plastic. Whatever - I like the spray-painted look of this one. I didn't buy it, but it drew my eye.